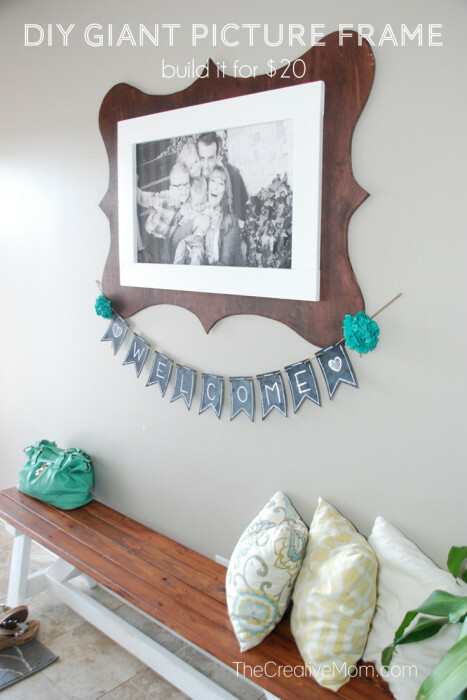 I’m so excited to share this DIY jumbo picture frame I built for my entryway. 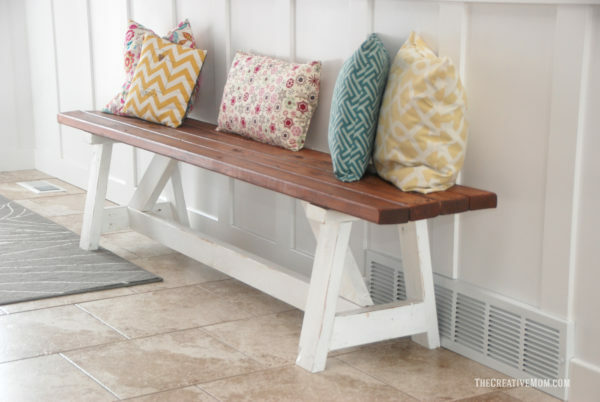 It honestly only took an afternoon to make, and I am in LOVE with how it looks sitting above my DIY farmhouse bench in my foyer. 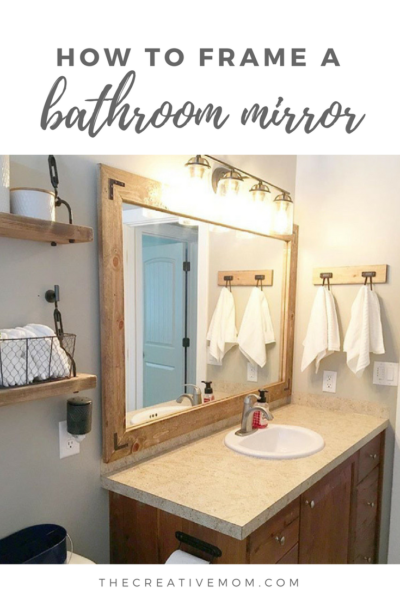 I love that it is just a little bit rustic, but also kind of polished and sweet- just the way I like my furniture and decorations! 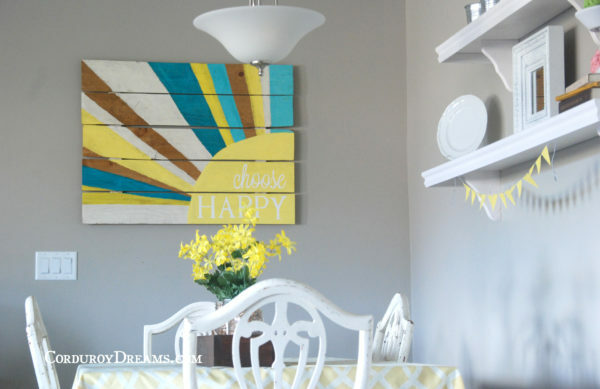 The mix of the bright white painted frame with a stained wood background is perfect! 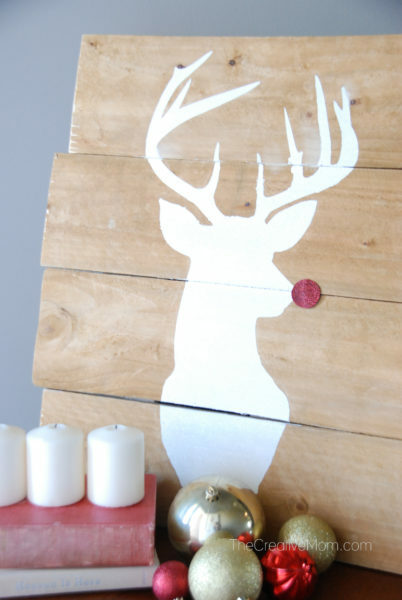 This would be a great beginner project, and the supplies for this baby came in around $20! At that price, it would be a great gift for your mom (hello mother’s day! ), your spouse, or as a housewarming gift. 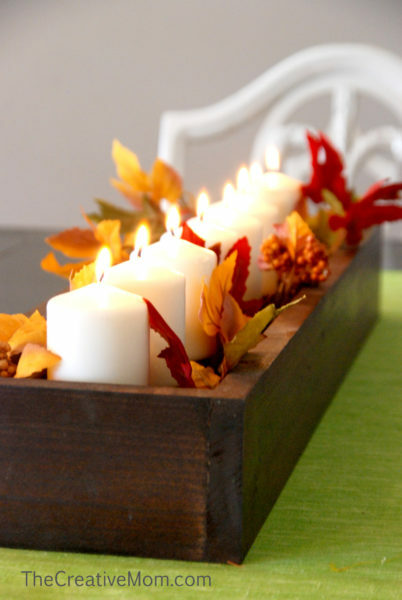 There is nothing as thoughtful and special as a handmade gift. These instructions will make a 3’x4′ frame. 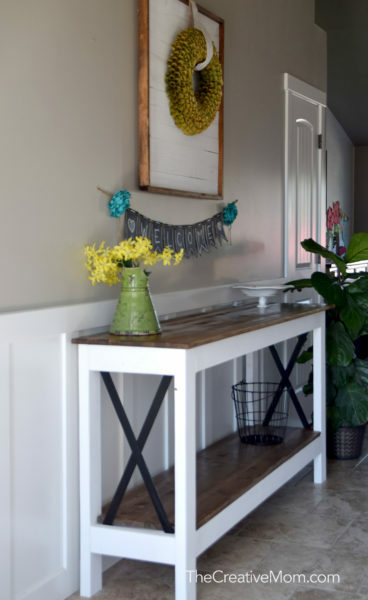 Since the plywood comes in 4’x8′, you’ll have some plywood leftover for another project, or you can make another frame; one for your mom and your mother in law too! 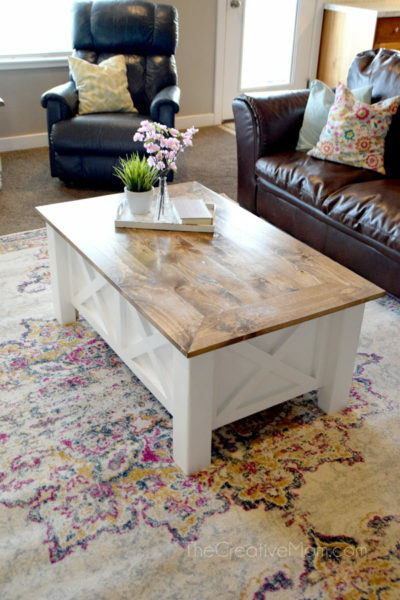 Start with your sheet of plywood cut to size (3′ x 4′). The Home Depot people will cut down a full sheet of plywood if you need. 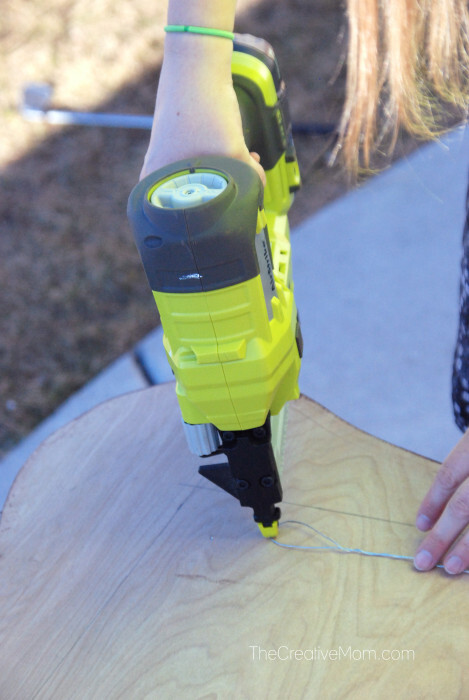 With a pencil, measure halfway down your length of plywood, and halfway across the width of your plywood. Then draw a line all the way across and down, to section your plywood into quarters. 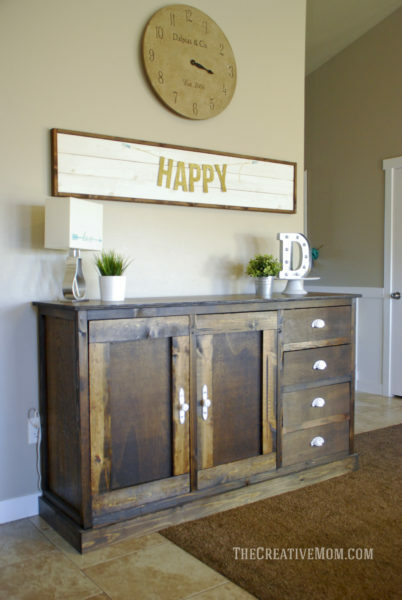 It will look like you have a big plus sign on your plywood. 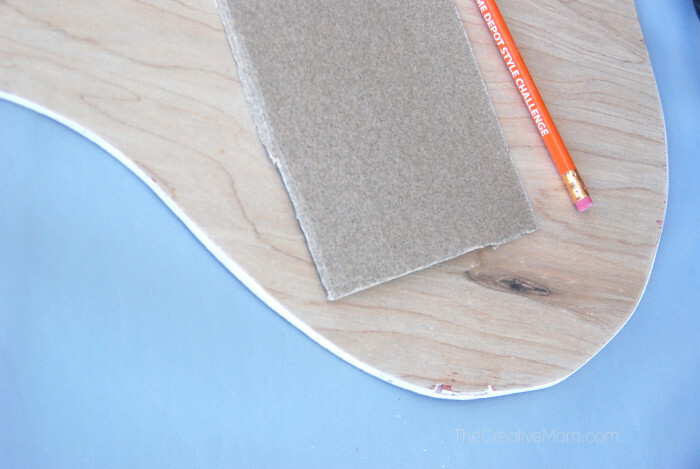 (You’ll want to do this on the BACK of your plywood). 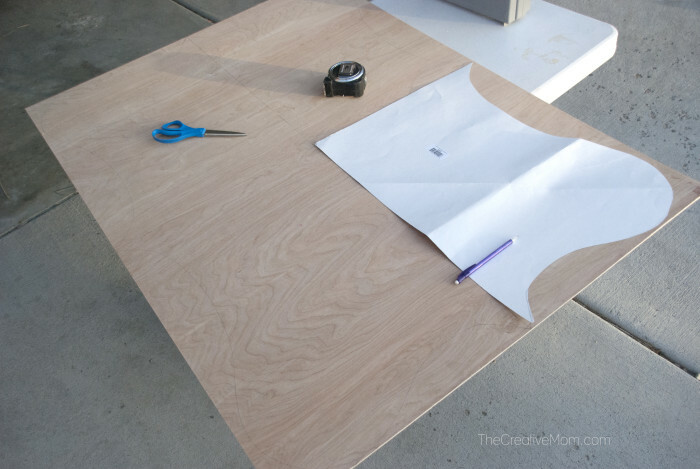 Once you’ve got your plywood sectioned into quarters, take a piece of posterboard, or a large sheet of paper, and cut the shape of your frame (or rather a quarter of the shape of your frame). The posterboard should measure 18″ x 24″. You will trace this shape onto all 4 quadrants of your plywood. If you look carefully at my photo above, you can see my pencil lines. 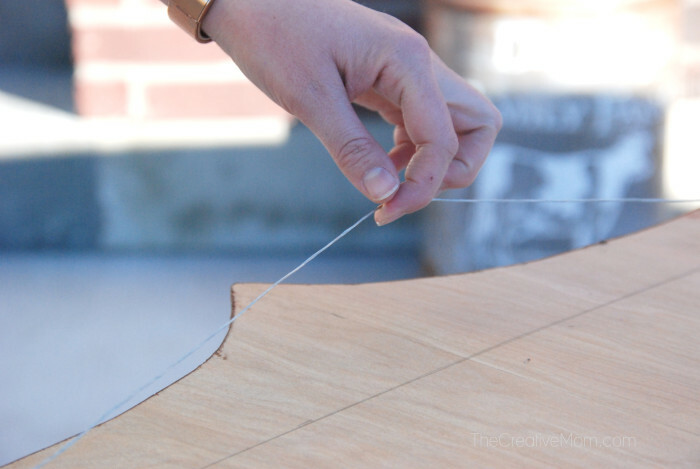 If cutting this shape intimidates you, or if you don’t have a jigsaw, consider leaving your plywood square. This is a completely personalized project, so you can do it however you’d like. After you’ve got the shape of your frame all traced, you’ll cut the whole thing out with a jig saw. Do your best to cut straight lines, but don’t let this part intimidate you… You can always sand out the imperfections later on. 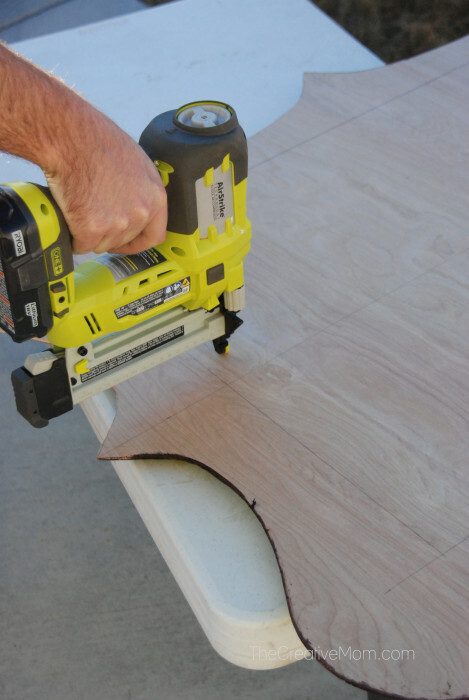 Once you’re done cutting, sand those edges till they’re all smooth. 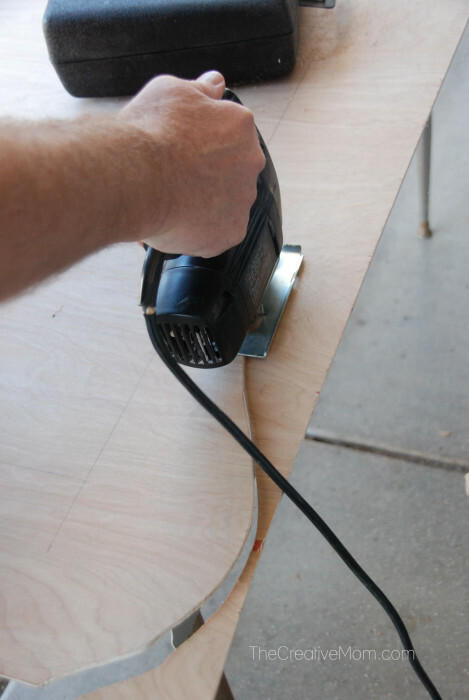 You can also use an electric sander to make things go more quickly. 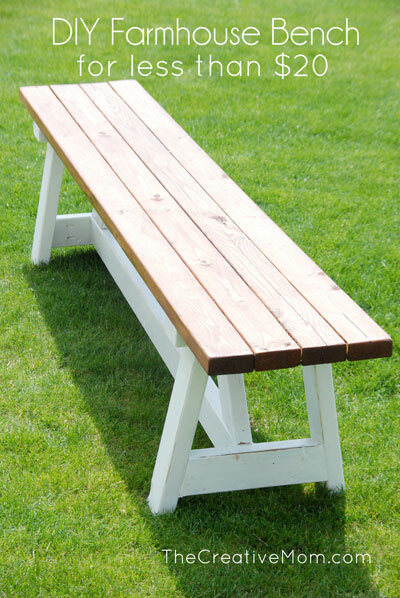 Nex you’ll stain your entire piece of plywood. I also used a wipe-on poly after I stained to give it a nice finish. Now we’re going to assemble our inside frame. 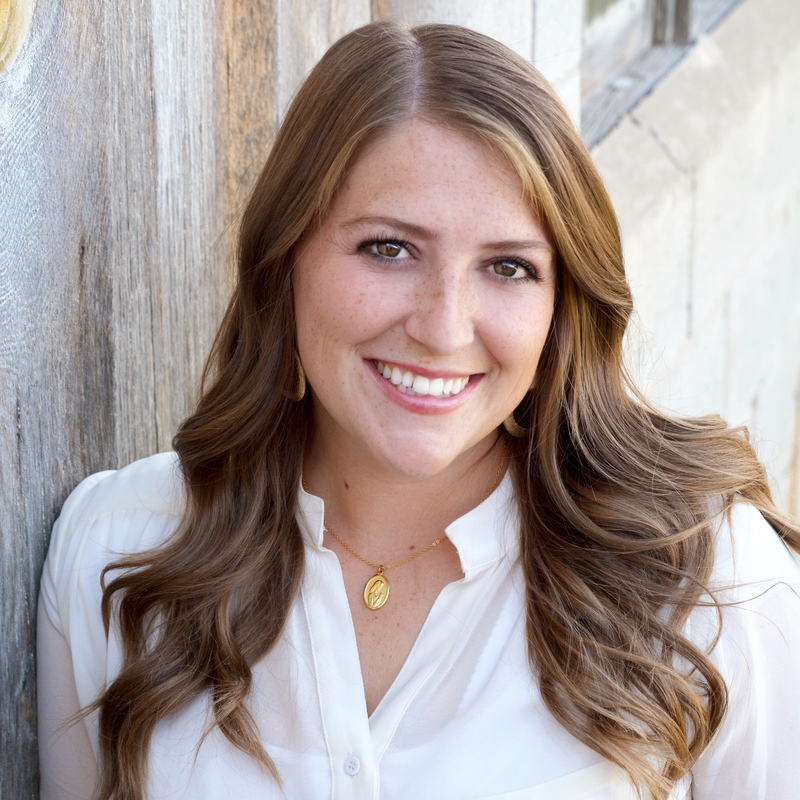 You’ll need a 1×4 cut into 2- 36 inch lengths, and 2- 17 inch lengths. Using a Kreg Jig, drill pocket holes in the boards. 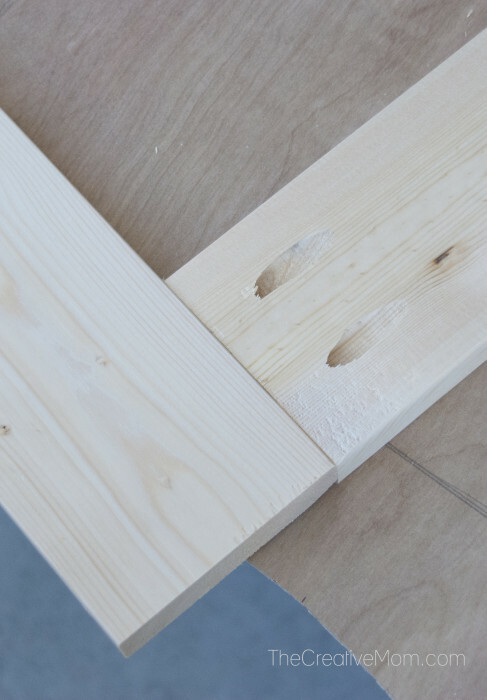 Then assemble the frame using 1″ pocket hole screws. If you don’t have a Kreg Jig, you can just glue your frame together with wood glue and clamp it tightly until it dries. Once your frame is all built, you’ll sand the frame until it’s nice and smooth. 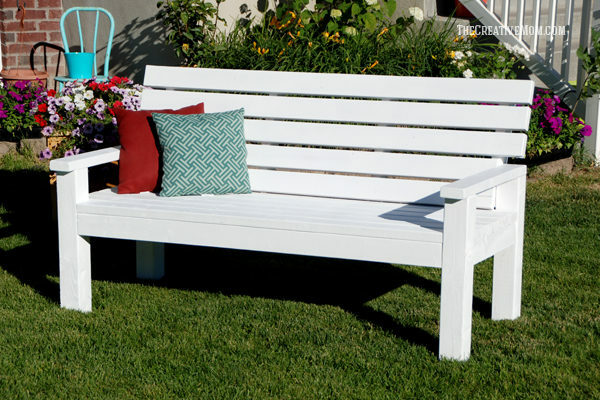 Then paint it or stain it however you’d like. 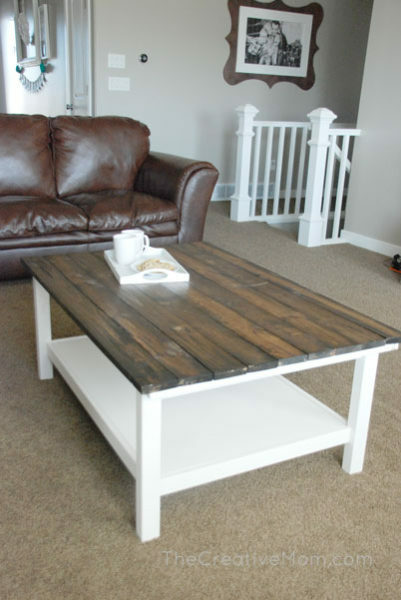 I painted mine white, so it would stand out against the dark stain of the plywood behind it. 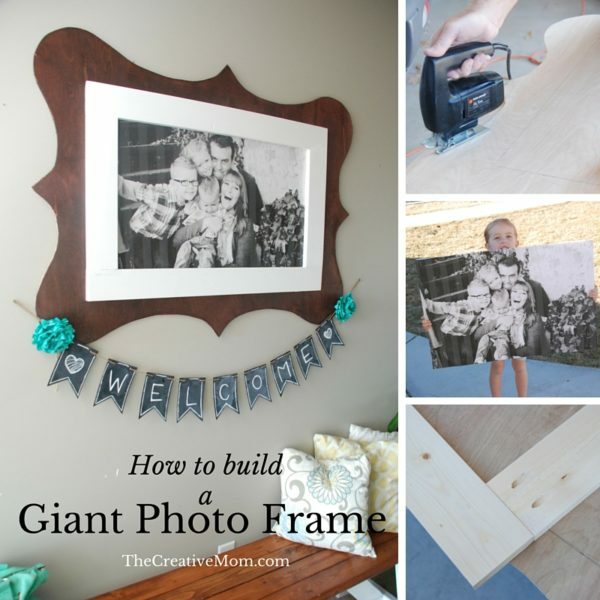 While your frame and plywood dry, get your photo ready to go inside. 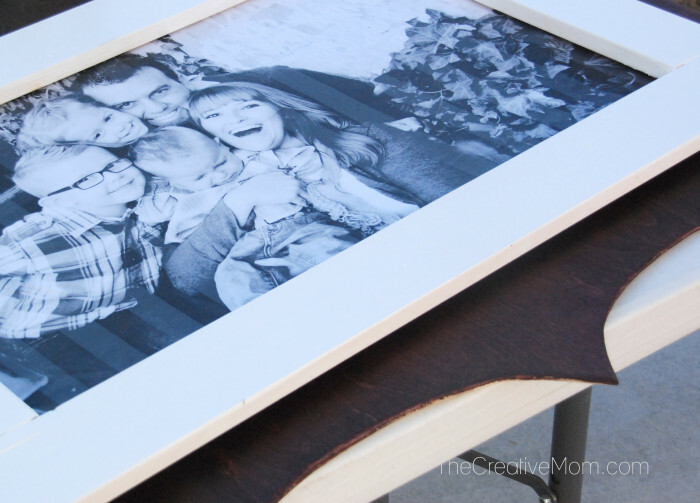 You’ll want your photo to be 22″ x 34″, and you don’t want it to be flimsy. I had mine printed as a “blueprint” at an office supply store. Then I used spray adhesive to stick it to some foam-core board. Or you could order a print from your local photo shop and have it “mounted” on cardboard or foam. 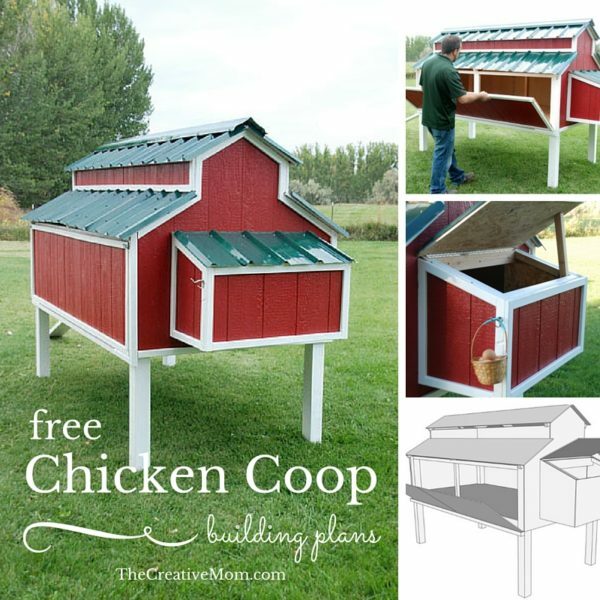 Now that you’ve got all of your frame pieces and your photo ready, we can assemble this baby! 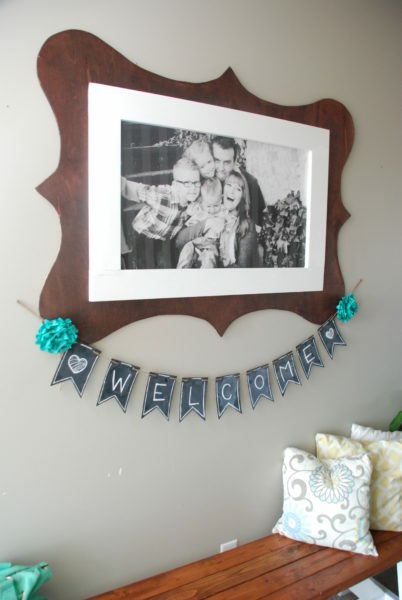 Stack your frames on top of each other, with your photo in between. Make sure you measure, so you get your top frame centered. 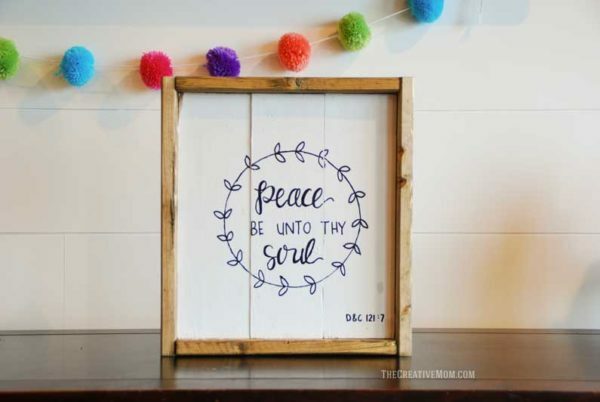 Then using a staple gun, staple the frames together from behind. Make sure to measure, so you you’re stapling right onto the 1×4’s. 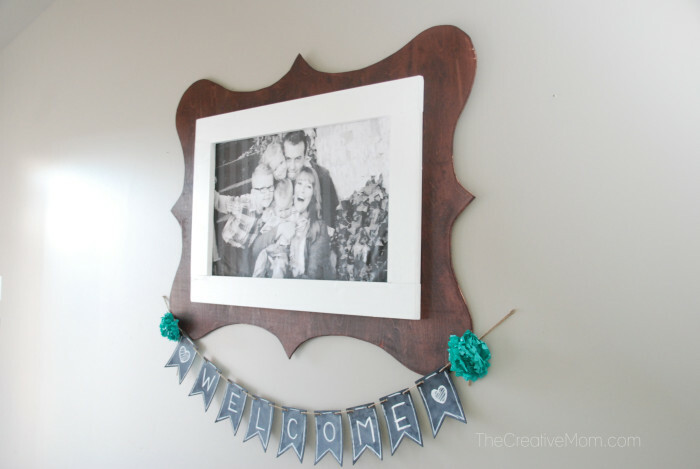 You could also use wood glue and glue the frames together, but I knew I’d want to change out my photo, so I opted for staples, which can easily be removed, and wouldn’t split the wood like screws might. Then you’ll want to attach some picture hanging wire. I attached it with my staple gun. 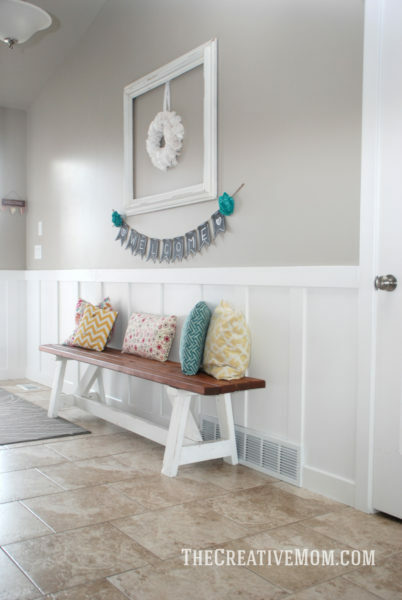 Then hang your frame on the wall and get ready for a hundred compliments! 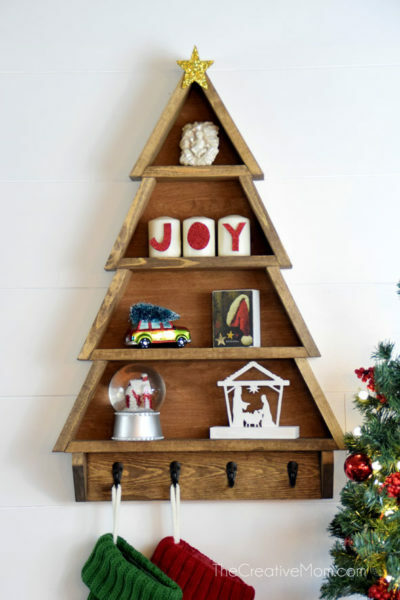 This is a gift that’s not only really thoughtful and sweet, but also a pretty easy build that you can be proud to display. 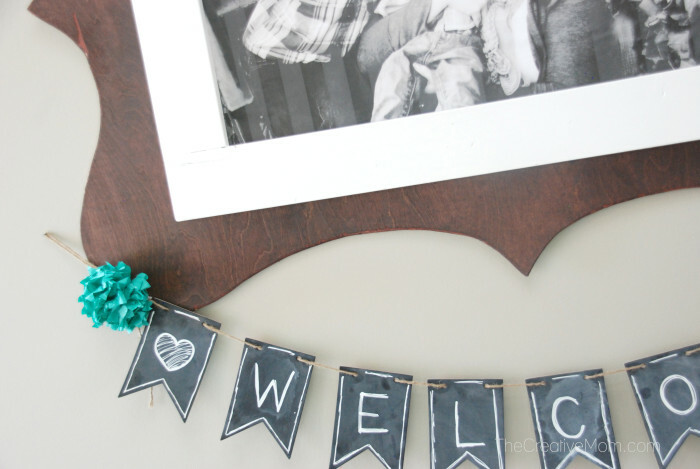 Oh, and that cute chalkboard welcome banner? It came from Stampin’ Up. 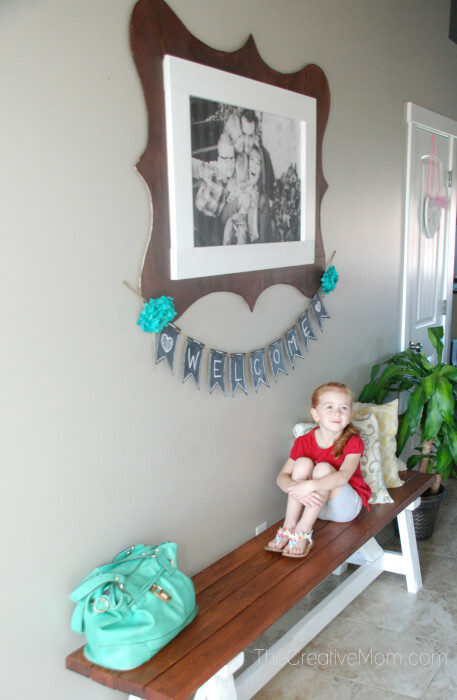 I hung my giant picture frame in my entryway, right above my farmhouse bench. Love it! What a great idea and tutorial!